A complete, intimate and detailed tribute to the Queen as she and the nation celebrate her Diamond Jubilee. In celebration of the Queen’s Diamond Jubilee year, this detailed chronicle features an abundance of history from her childhood and the abdication, to love and marriage, her Coronation in 1953 and a stunning family album. 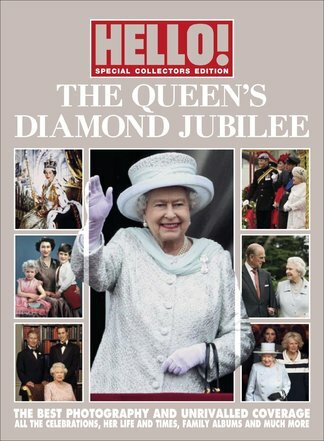 This must-have souvenir looks at her reign over six decades and will include fantastic photo-coverage from the Diamond Jubilee central weekend, including the Thames Diamond Jubilee Pageant. Be the first person to tell us what you think about HELLO! Diamond Jubilee Souvenir Edition and you'll save $5 on your next purchase! 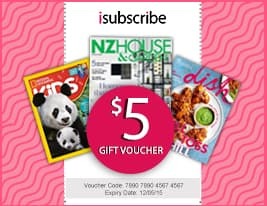 https://www.isubscribe.co.nz/hello-diamond-jubilee-souvenir-edition-digital-subscription.cfm 15317 HELLO! Diamond Jubilee Souvenir Edition https://www.isubscribe.co.nz/images/covers/nz/541/15317/square/HELLODiamondJubileeSouvenirEdi2410201735915.jpg NZD InStock /Digital/Entertainment/Celebrity & Gossip A complete, intimate and detailed tribute to the Queen as she and the nation celebrate her Diamond Jubilee.